Beam Global Spirits & Wine has updated the label for its Jim Beam Bourbon brand. 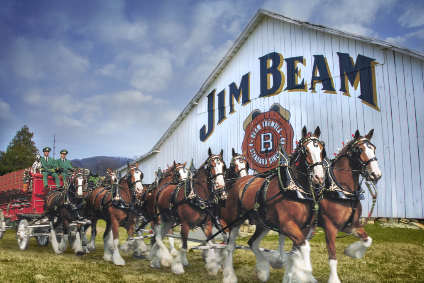 The company said yesterday (12 September) that it has added a portrait of Fred Noe, the seventh generation of the Beam family, to the Jim Beam range label. Noe has worked as a distiller at the Jim Beam distillery in Kentucky and, since 1999, has been a Bourbon ambassador for Jim Beam and the Small Batch Bourbon Collection. "I remember feeling proud the day they put the picture of my dad, Booker, on the Jim Beam bottle," said Noe. "I never thought I would take my place next to him; it is a huge honour; about as big as it gets in my family and in our business. I feel an overwhelming sense of pride." Keith Neumann, vice president global for Jim Beam, added: "We are proud to add Fred Noe to the Jim Beam label and to celebrate this milestone within the bourbon industry. Fred has genuine passion for bourbon and has dedicated his life to the business and the brands." The updated label, which hits shelves in September, will appear on all Jim Beam brands including Jim Beam, Jim Beam Black, Jim Beam Rye and Jim Beam Choice.